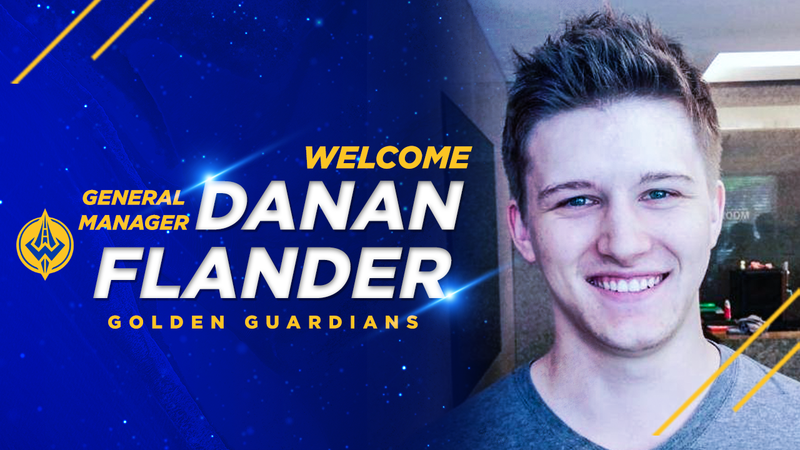 OAKLAND, Calif. – The Golden Guardians (GGS), an esports affiliate team of the Golden State Warriors, have named Danan Flander as the team’s first-ever general manager and Nick “Inero” Smith as head coach, it was announced today. Danan Flander will join the Golden Guardians as the team’s first-ever general manager. His primary day-to-day responsibilities will include overseeing the entire coaching and support staff office, roster moves, contract negotiations and overall competitive performance of the team, modeling the role of a traditional professional sports general manager. Flander most recently served as senior general manager for Cloud9 where he oversaw the competitive efforts for their 16 esports teams, climbing his way through the ranks for nearly four years. In early 2014, Flander created Cloud9’s original player development initiative. An Iowa native, Flander has participated on and managed League of Legends teams since the inception of competitive play in 2010. Nick “Inero” Smith, an esports veteran who was hired as a consultant for the Golden Guardians in August, spent most of last season as head coach of Echo Fox’s NA LCS team. Under Smith’s leadership, Echo Fox finished the Spring Split in second place, reaching their first playoff appearance and first international tournament appearance in franchise history. Smith also coached for Tainted Minds, Dream Team and Mousesports League of Legends clubs. The NA LCS will return to competition in January, 2019. Golden Guardians is the NA LCS affiliate team of the Golden State Warriors. League of Legends is a multiplayer online battle arena game where two teams of five players battle on Summoner’s Rift with the goal of destroying the heart of the opposing team’s base, known as the nexus, to achieve victory. For more information on the NA LCS and Golden Guardians, visit lolesports.com.